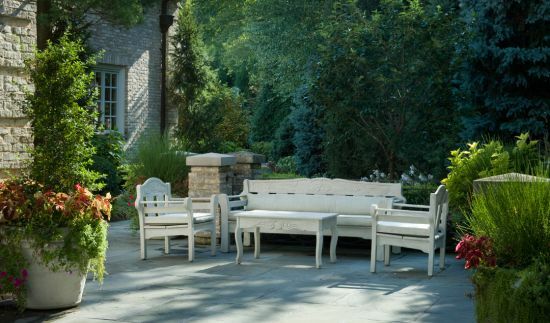 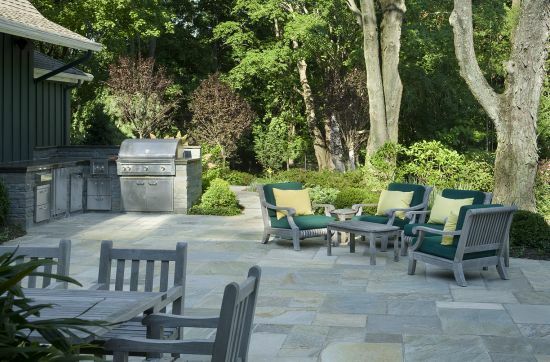 In the landscape this is where the most time is spent entertaining and dining in all outdoor living environments. 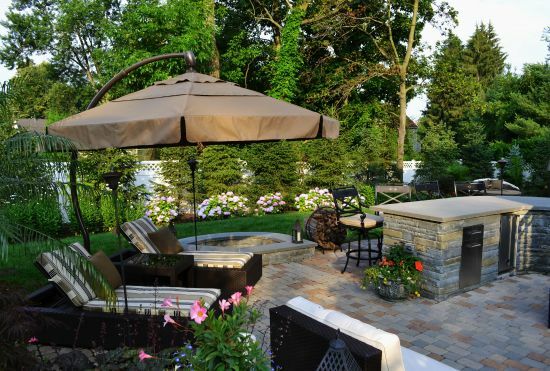 Size is typically determined by the amount of people needed to enjoy it. 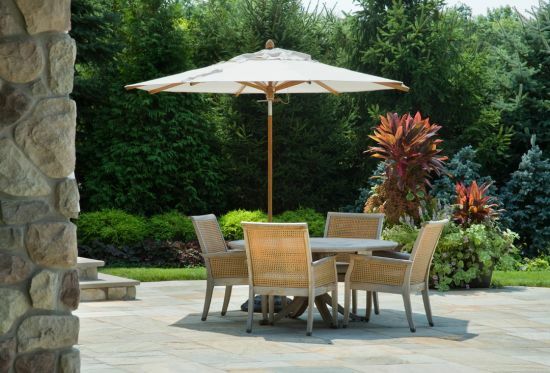 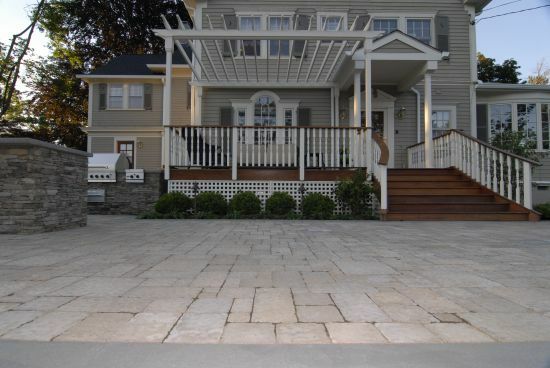 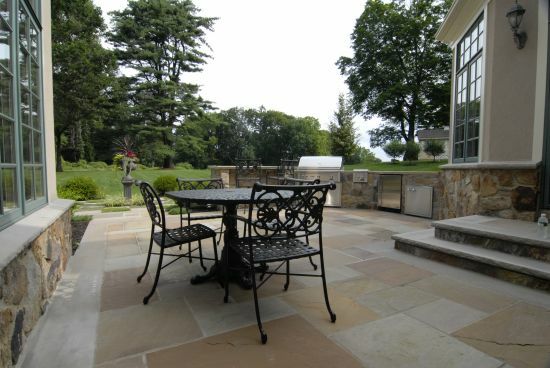 Patio materials can ranges from, dry laid pavers, clay bricks, or natural stone. 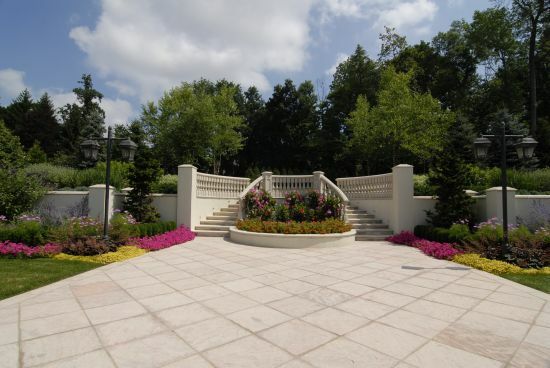 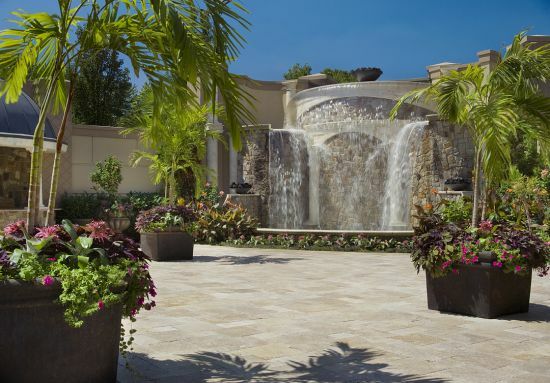 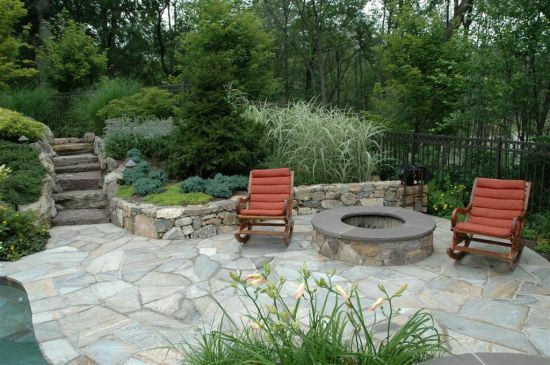 The material usually used is chosen to help compliment the style of the landscape designed. 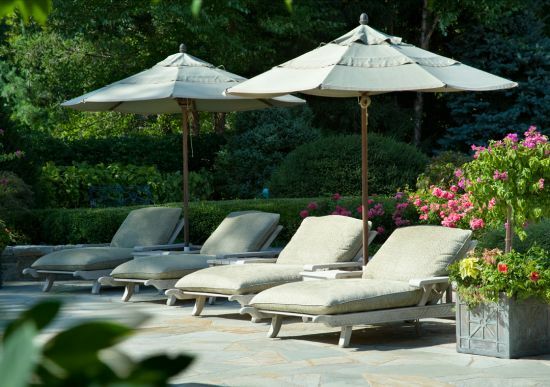 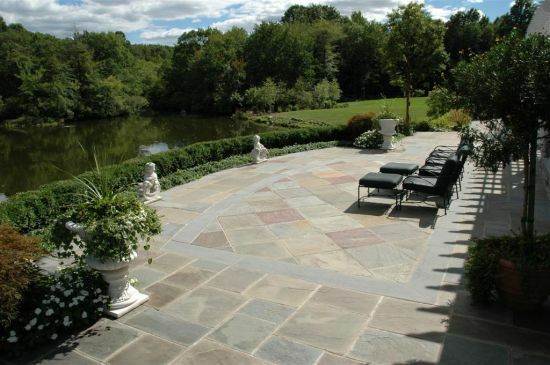 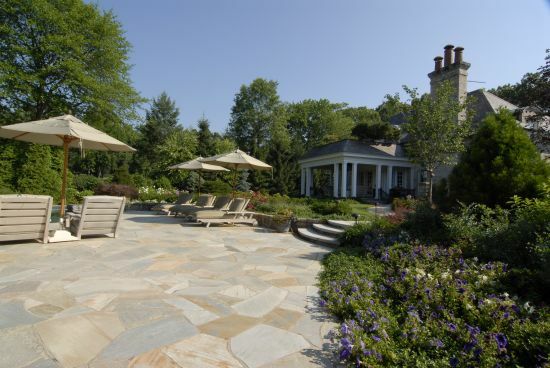 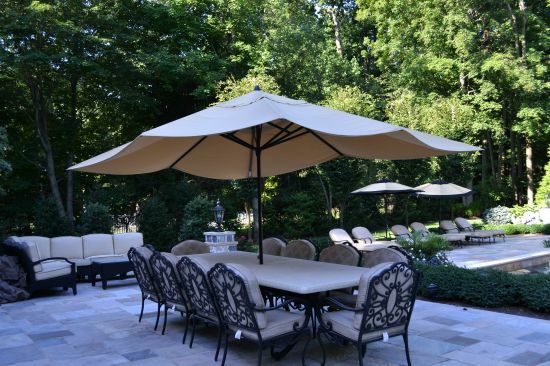 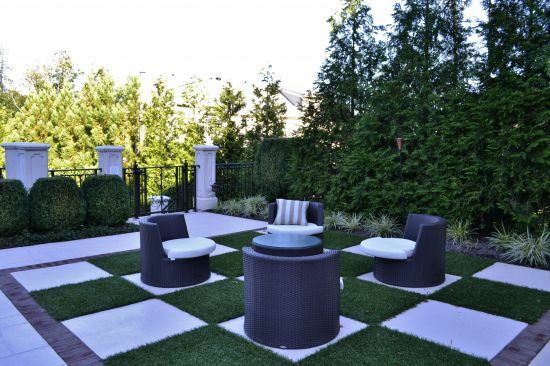 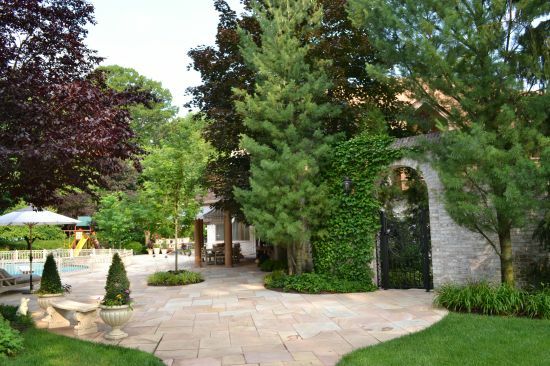 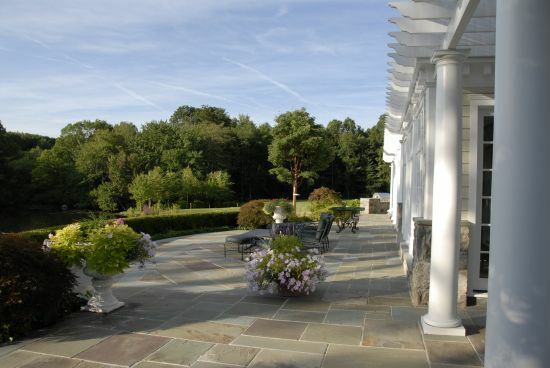 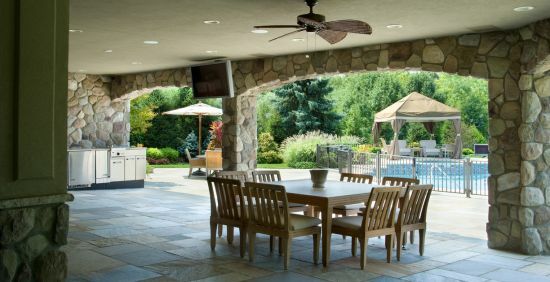 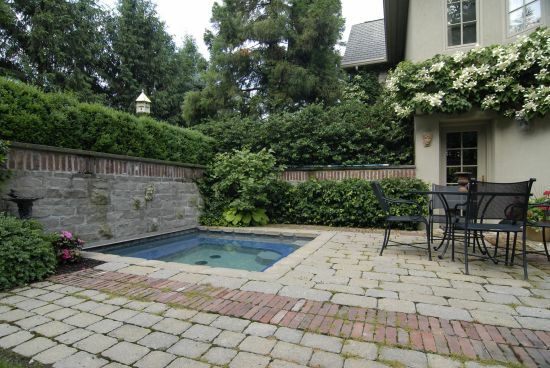 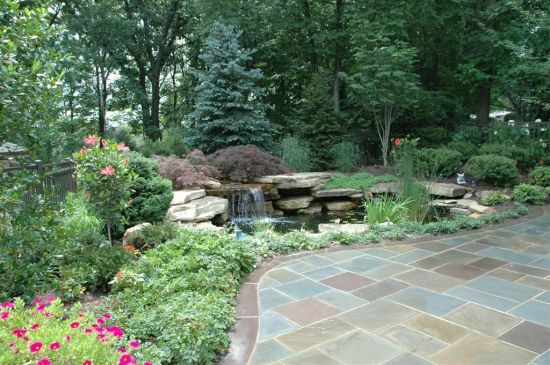 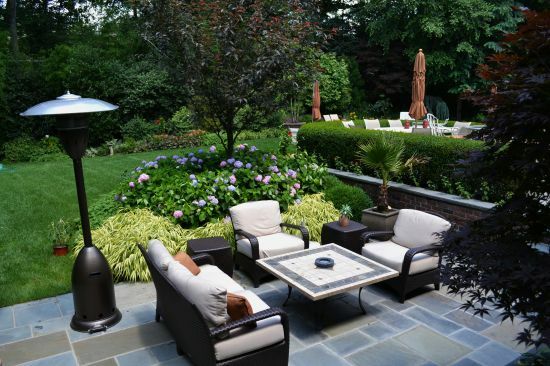 Other considerations for a patio may be the shape of the stone. 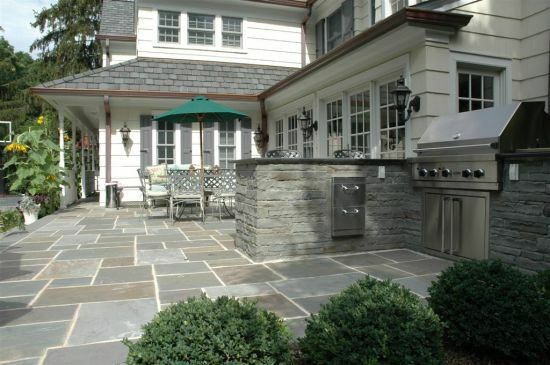 Some free form patios look better with an irregular shaped mosaic stone while a more traditional formal patio looks best with pattern square shaped stone.